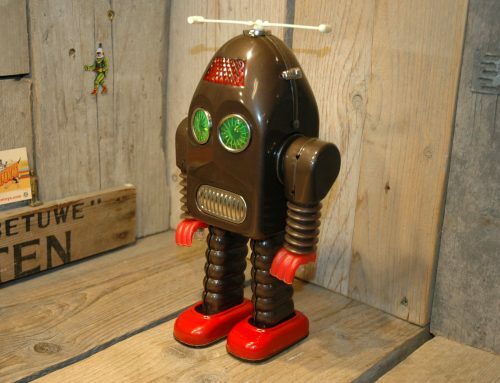 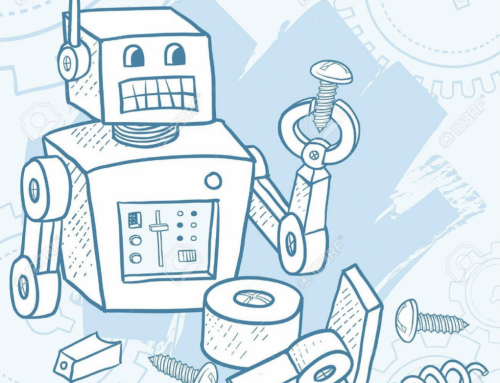 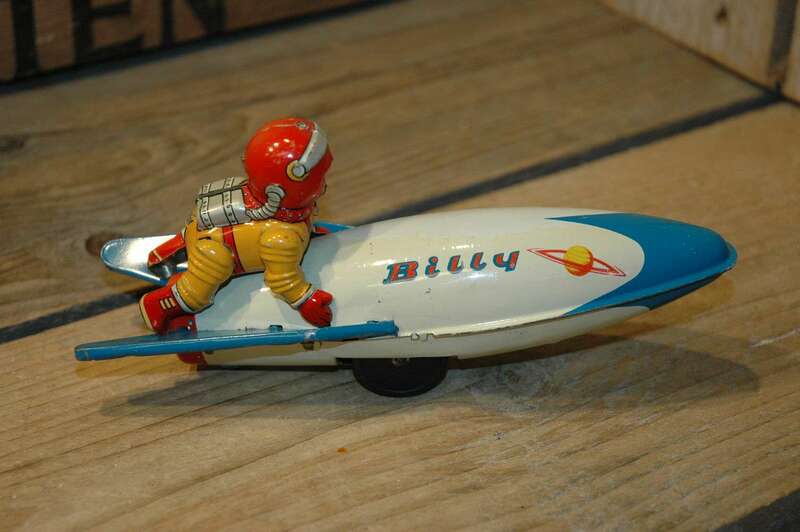 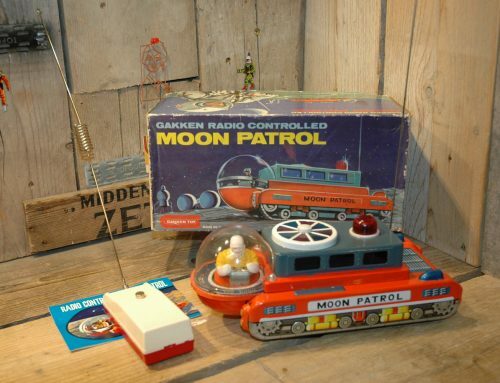 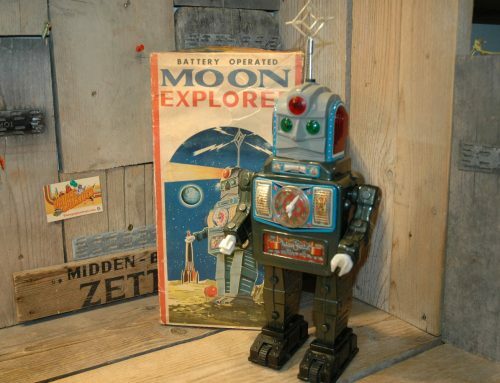 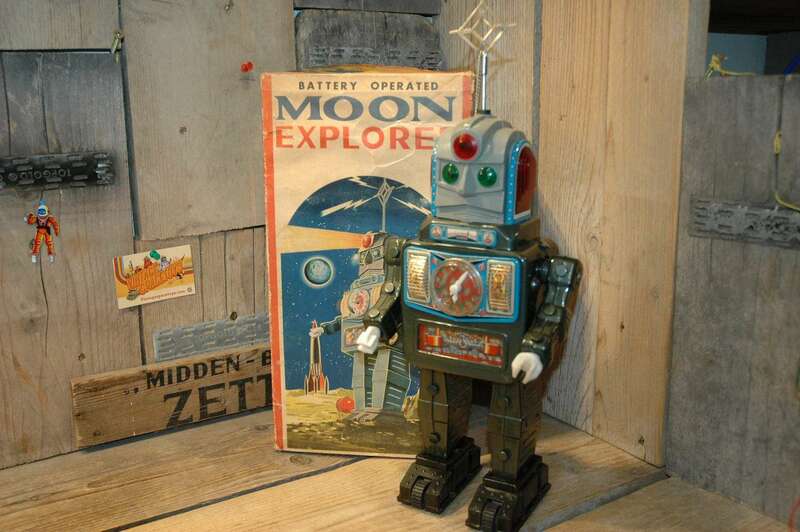 Modern Toys – Billy the Space Traveler. 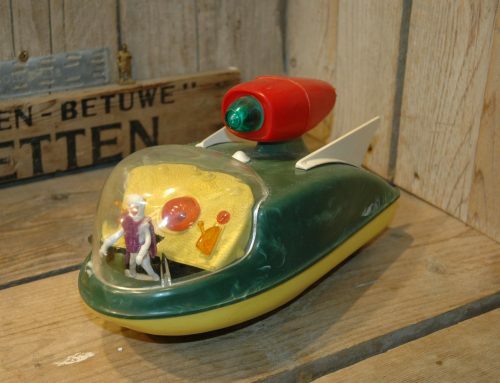 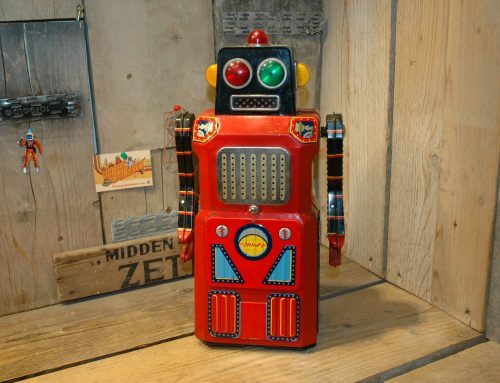 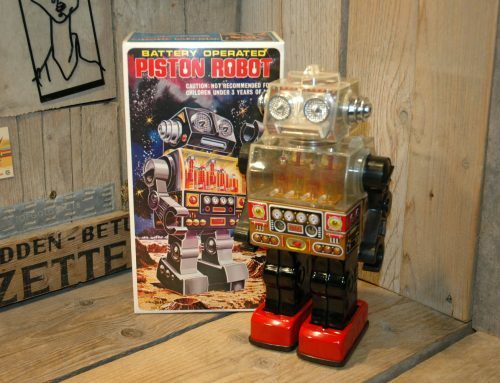 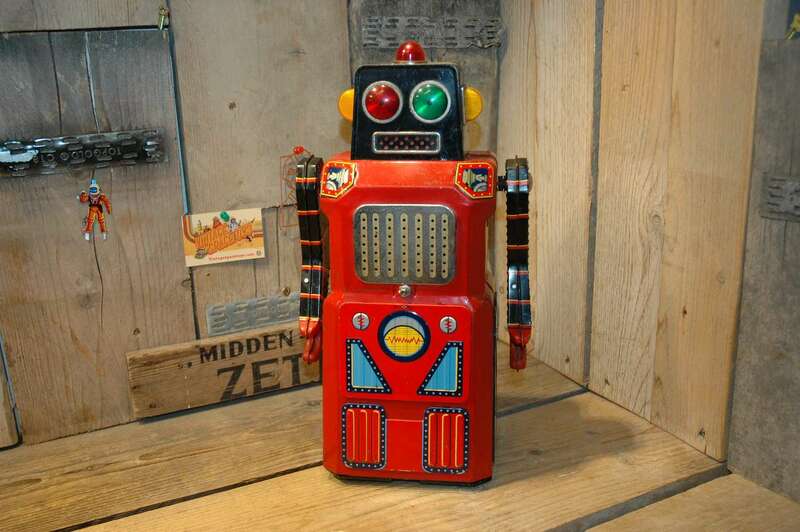 I bought the toy some years back from a dutch toy collector overhere in Holland. 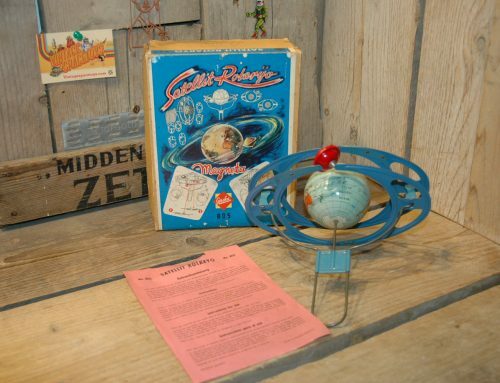 It has been on display since. 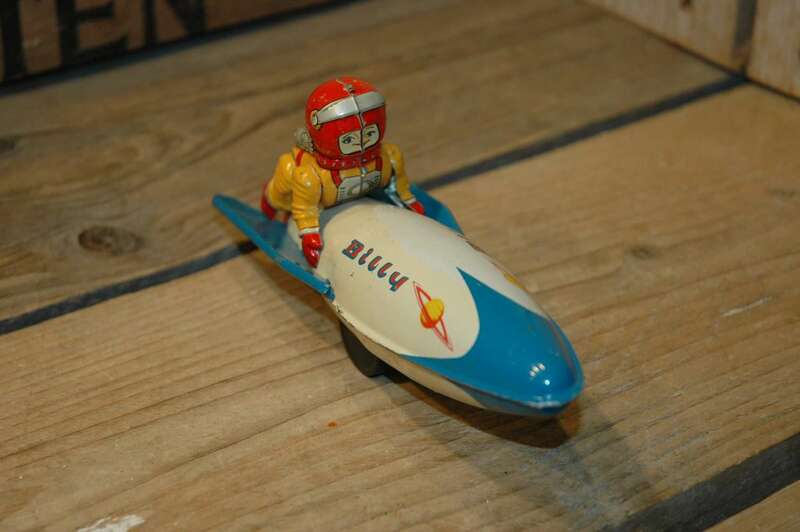 The Rocket, in which Billy is sitting is tinmade and has a friction motor. 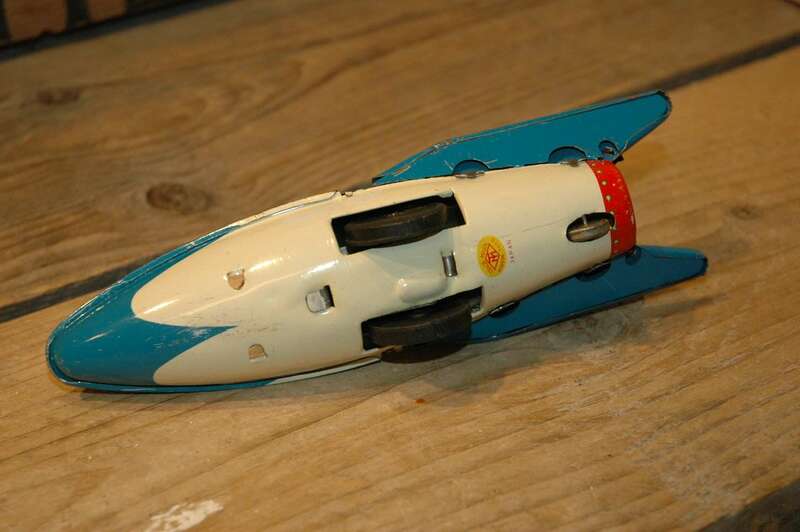 In action it goes forward…. 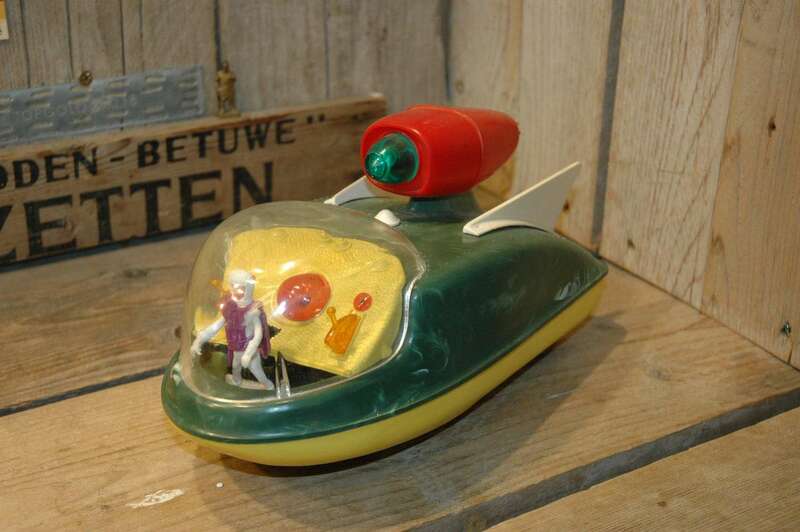 not with light speed anymore but it still works fine. 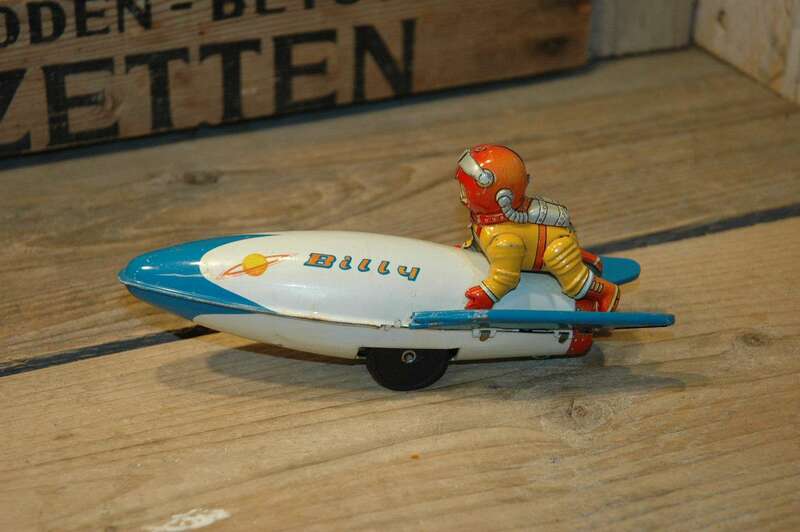 Who ever came up with the idea to put an astronaut on top of a rocket and call him Billy ! 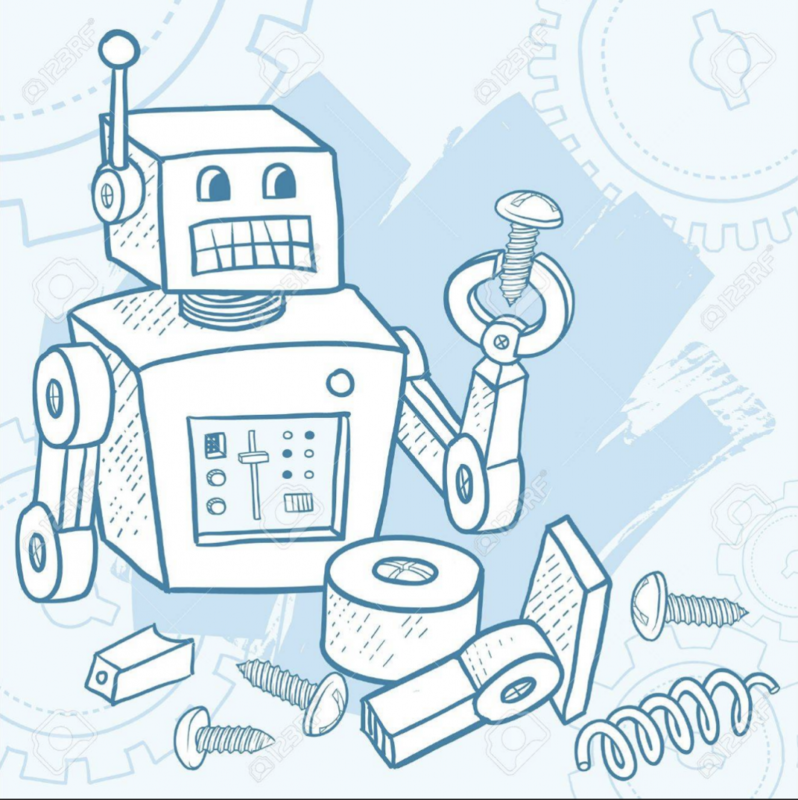 🙂 think about that ! 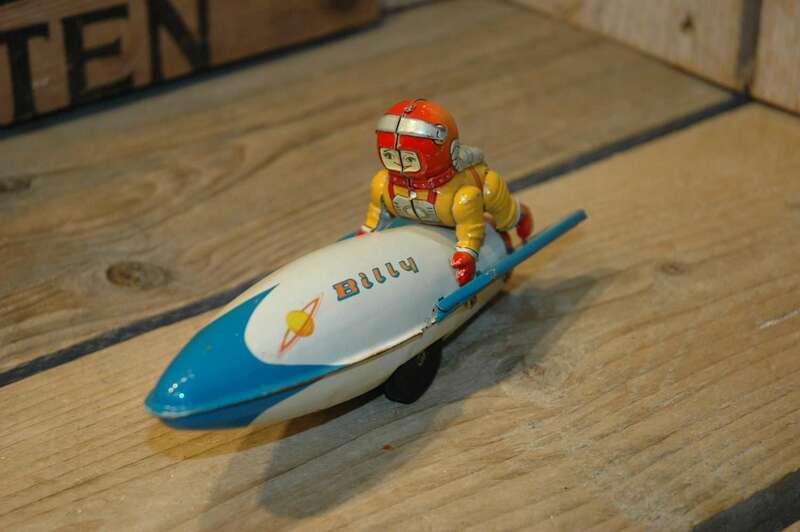 The condition is very good to excellent but in the past, Billy has been on display with too much direct sun light that caused to fade the litho a bit on one side. 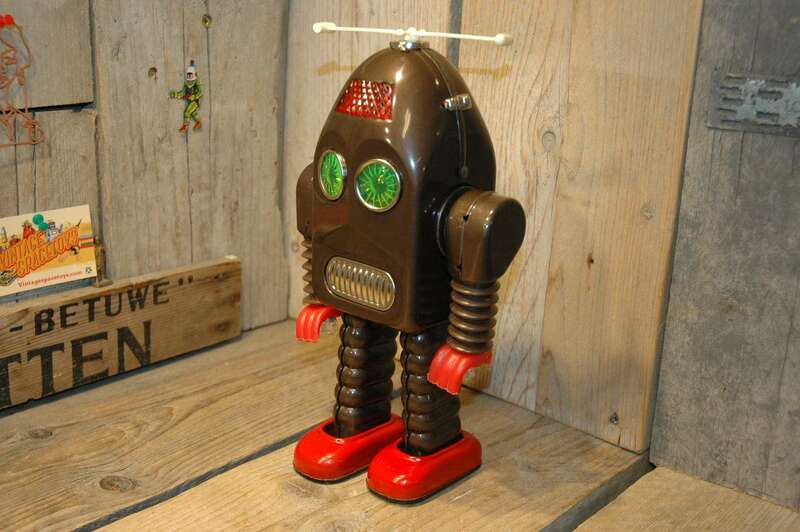 One side list color and is lighter because of this. 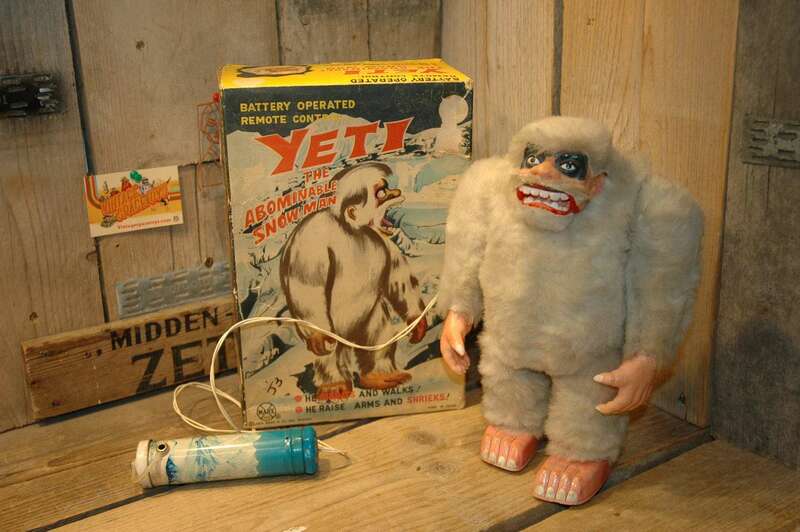 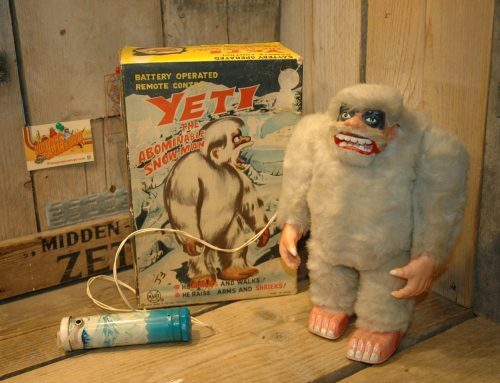 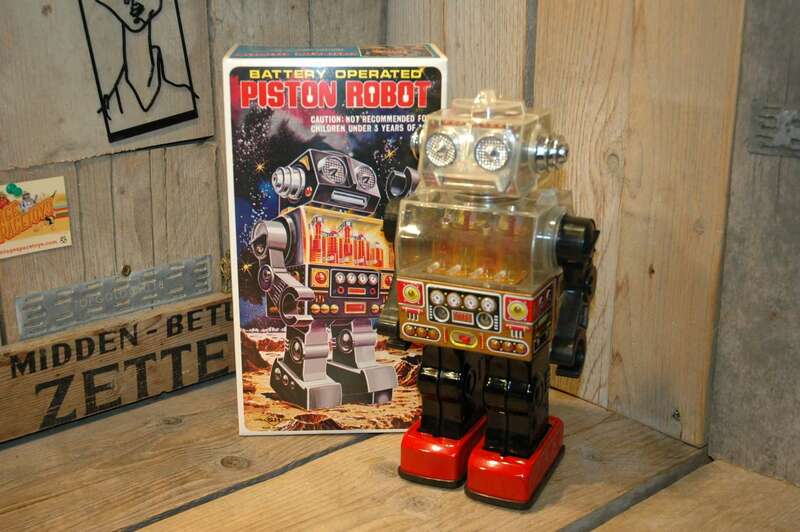 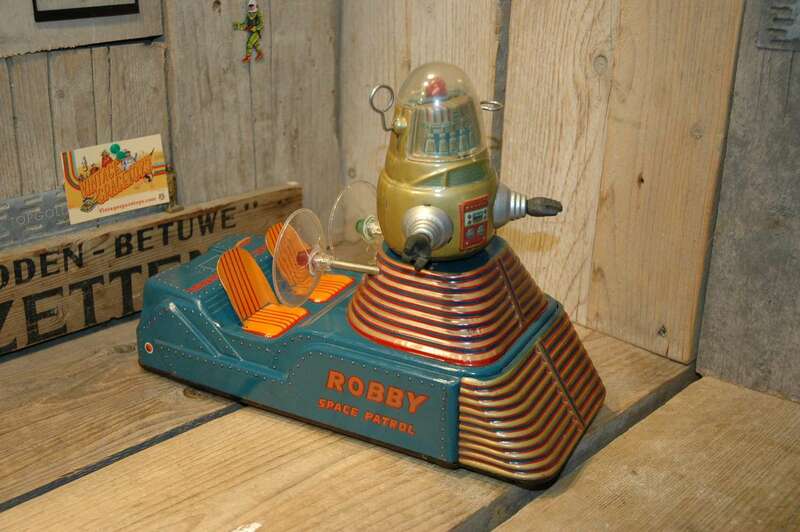 Further the toy is in very nice and all original condition and still works fine. 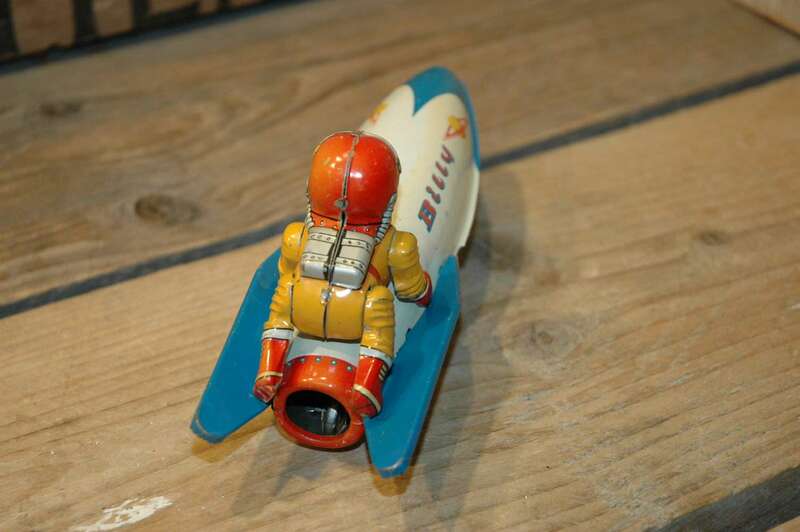 Its made by Modern Toys in Japan but I could not find the exact year so far. 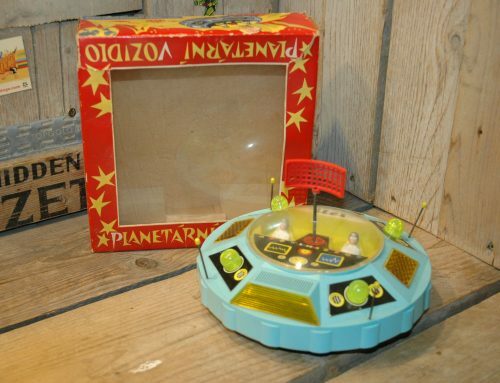 The box is seldom seen with this toy and is also missing here. 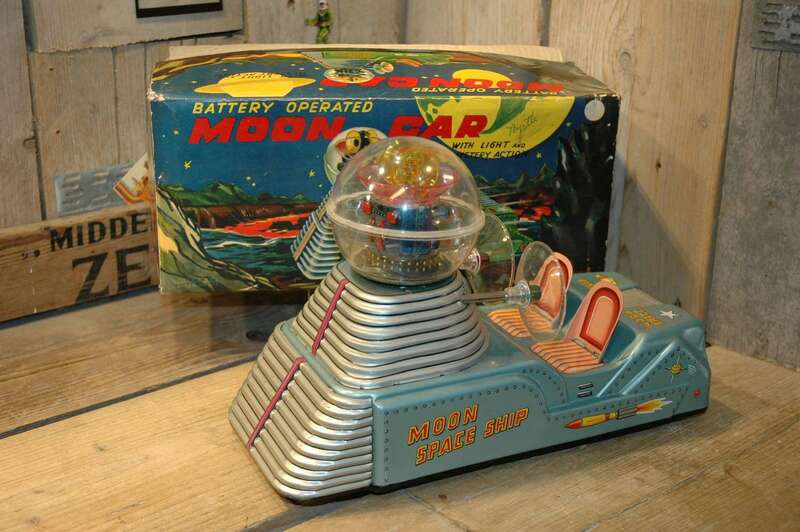 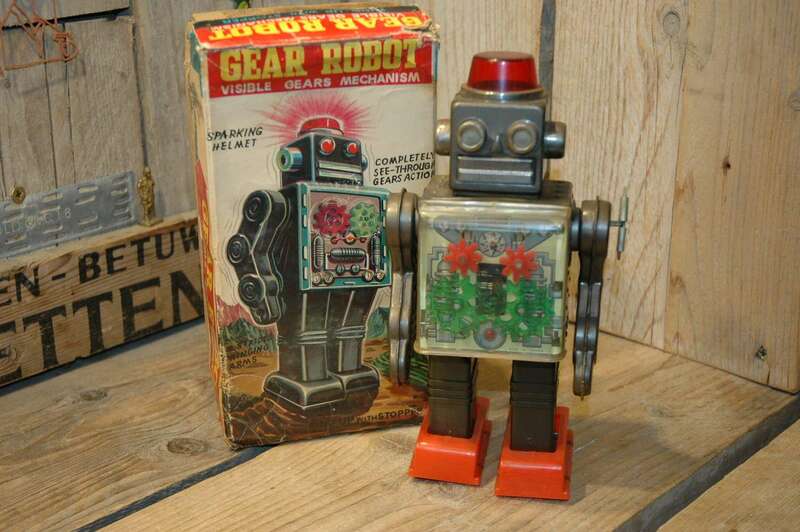 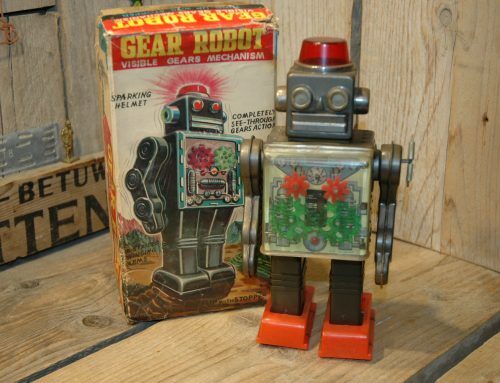 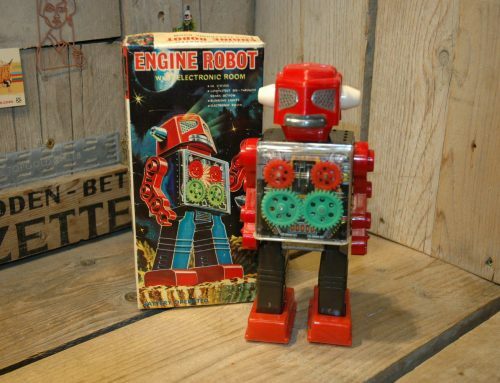 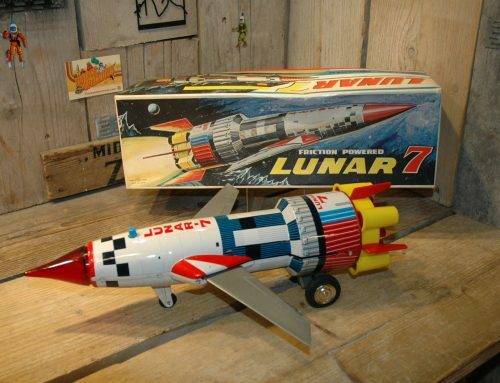 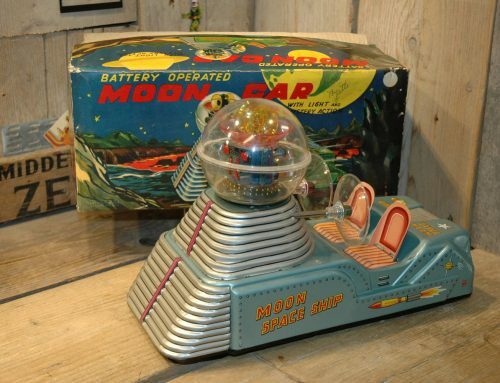 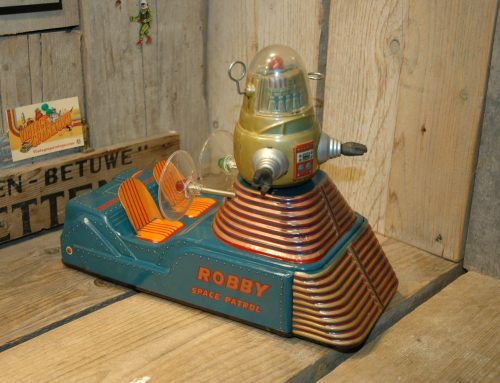 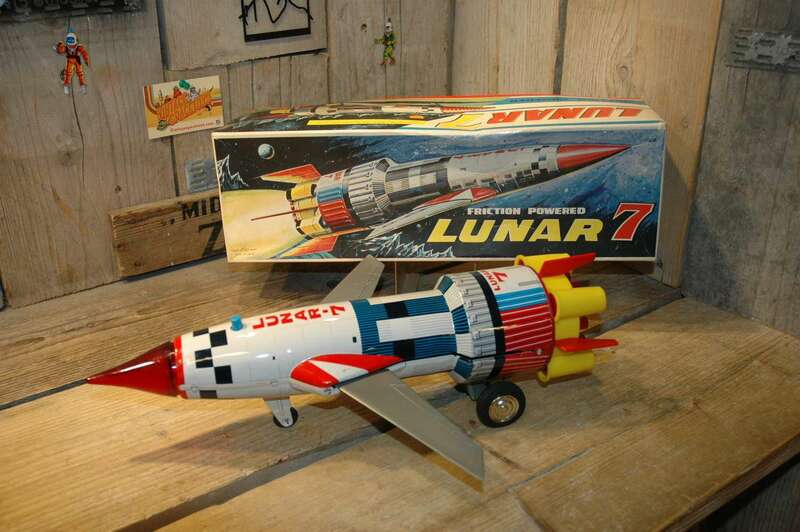 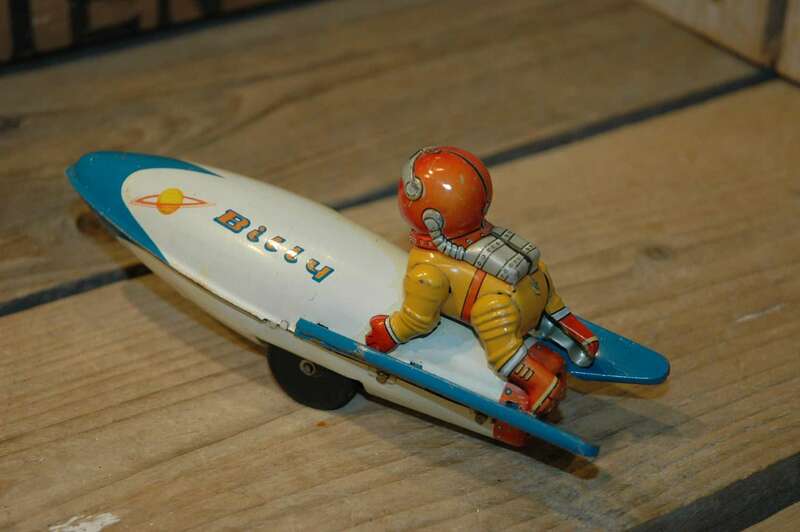 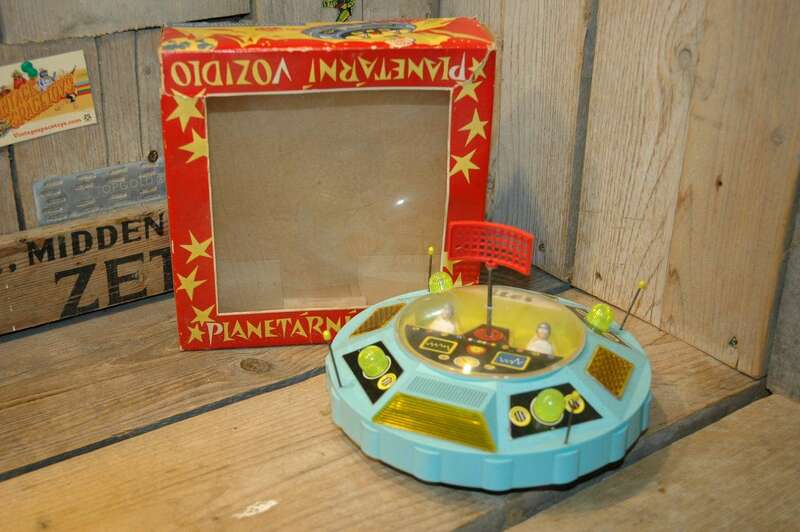 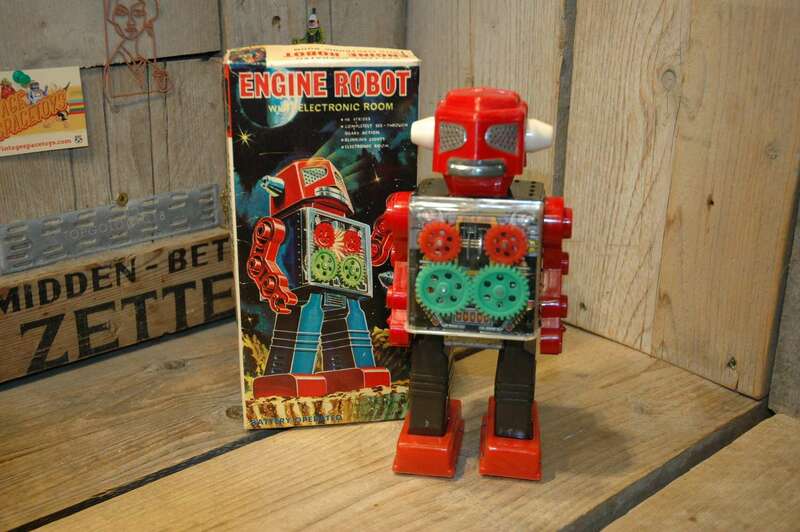 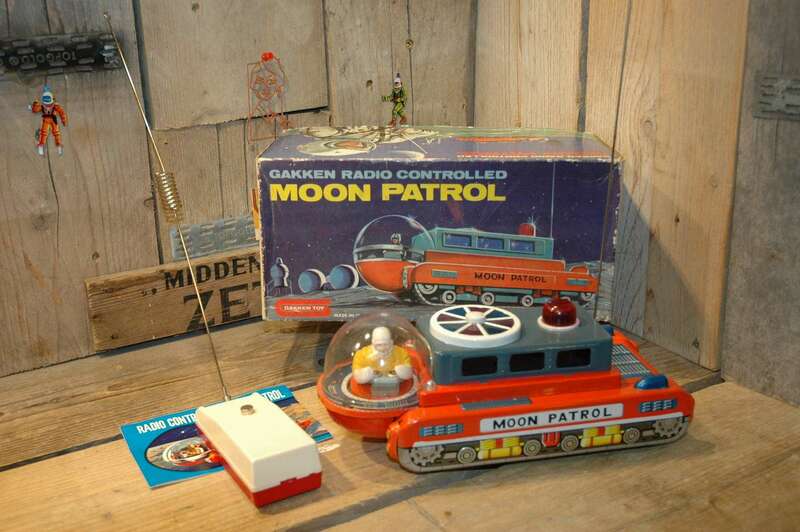 Still a rare and scarce space toy not often seen around in the open market.